158 pages | 1 B/W Illus. Sufism is generally perceived as being spiritually focused and about the development of the self. However, Sufi orders have been involved historically as important civic and political actors in the Muslim world, having participated extensively in inter-faith dialogue and political challenges to religious orthodoxy. This book presents a comprehensive overview of the Sufi political tradition, both historically and in its present form. 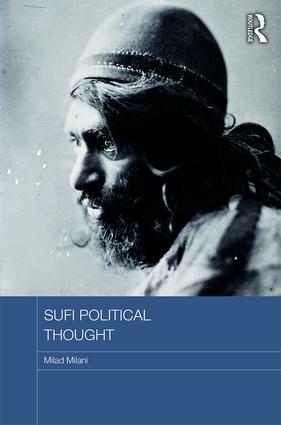 It outlines how Sufi thought has developed, examines how Sufism has been presented both by scholars and by Sufis themselves, and considers Sufis’ active political roles. It argues that Sufis – frequently well educated, well travelled and imaginative – have been well placed to engage with other faiths and absorb their ideas into Islam; but that they have also been, because they understand other faiths, well placed to understand the distinctiveness of Islam, and thereby act as the guardians of Islam’s core ideas and values. Milad Milani is Lecturer in the School of Humanities and Communication Arts at the University of Western Sydney, Australia. Much work on contemporary religion in Asia considers the subject from the perspective of the great religions, often focusing on the development of official beliefs, and the development of formal institutions. The books in this series, on the other hand, examine the actual practice of religion in everyday life in modern Asian societies. They reveal a very rich picture of varying religious practices, many of them new and non-traditional. The religions of Asia are undergoing much radical change not only communal religious revivalism, but also an explosion of urban piety, popular preaching, charismatic churches, and on-line religion. The books cover a wide range of subjects in the countries of East, Southeast, South and Central Asia. The series welcomes innovative approaches to theory and methods in the study of religion and religions, and work which considers religion in relation to culture, politics, ethnicity or gender. Bryan S. Turner is Presidential Professor of Sociology, Graduate Center, City University of New York and Professor and Director of the Centre for Religion and Society at the University of Western Sydney.